While it may look like a traditional bar stool, the Brut Bar Stool is anything but traditional. 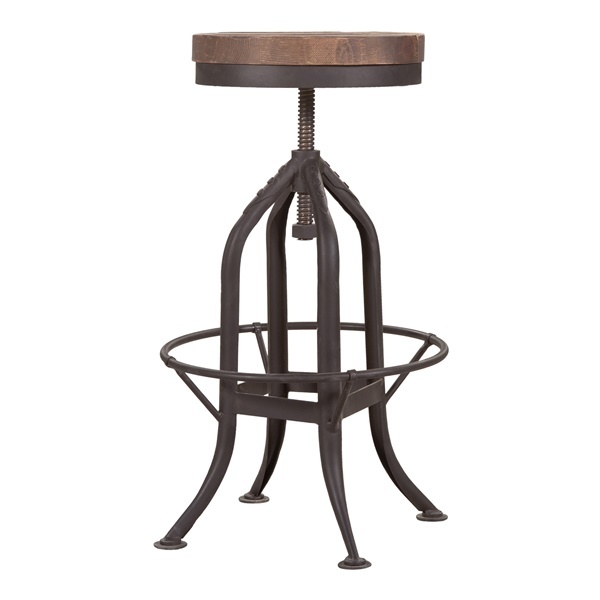 Utilizing an industrial chic steel base, this bar stool is as sturdy as they come. The sweeping curves of the legs add a distinct antiquated quality to the stool that is further expressed with the solid Pine wood seat. That beautiful rustic appearance is complemented by some modern amenities, including non-marking feet to protect your floors and an easy adjustability that makes the Brut Bar Stool perfect for both a counter and a bar.